As the market slows, more homes will linger on the market and buyers will have more choices. 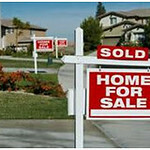 It has never been more imperative that sellers take extra care to make their house as appealing as possible to buyers. How much should you spend? Stay tuned for more tips next week, in Part II! Posted on October 25, 2012, in Real Estate and tagged Buyer, Curb Appeal, Exterior, First Impression, Fort Myers, Kristen Pell, Property Guiding, Real Estate Biz, Realtor, Seller, SWFL Real Estate. Bookmark the permalink. Leave a comment.